Bail hearings are coming under fire across the country. In Dallas County, the secretive nature of the process is the subject of a lawsuit. Last month, the Texas Tribune reported bail hearings are open to the public in much of the country. The idea is the process should be transparent. However, in Dallas County people accused of crimes have their bail set behind closed doors without family members, social workers, criminal defense lawyers, or reporters present, the Tribune reported. Now a class action lawsuit brought against Dallas County has forced a district court judge to order the release of video footage of some bail hearings. The Tribune noted the county eventually issued three days of July bail hearings. 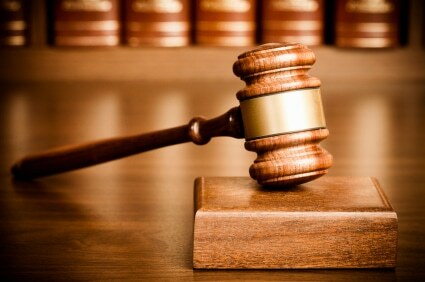 Typically, the interaction between the defendant and the judge lasts no more than 15 seconds before bail was set. The report noted the judge ticked off the defendant’s bail amount via a predetermined bail schedule, inquired if the defendant was a U.S. citizen, and sent them off to jail. There was little evidence of pertinent factors like whether the defendant was likely to return to court, his or her ability to pay the money or even the facts of the alleged offense being highlighted. Shannon Daves, who was arrested in January for shoplifting and charged with a misdemeanor, is the leading plaintiff in the civil lawsuit. She is unemployed and homeless. Daves was sent to Dallas County Jail, where a magistrate judge set bail at $500 following a hearing that lasted less than 20 seconds. The Tribune reported of about 5,000 inmates of Dallas County jail on any given day, less than a quarter have managed to post bail so far this year. Daves and five others brought the lawsuit. They have been joined in the action by the Texas Organizing Project, which works on electoral organizing, and Faith in Texas, a multiracial interfaith group. Dallas County is not the only place in Texas where officials are under fire over bail practices. In Harris County, a class action lawsuit came before a federal court judge in April 2017. Some states such as New Jersey have scrapped the cash bail system as part of wide-ranging reforms. If you or a family member has been arrested in Dallas County or elsewhere, it’s important to contact an experienced criminal defense lawyer to represent your rights.